There are so many details to keep track of after you’ve been involved in a Florida car accident that it’s easy to feel overwhelmed and like things are spinning out of control. This is just one of the many reasons why it can be helpful to hire a Boca Raton car accident attorney immediately to have your rights protected. One of the common aspects that you have to deal with in this situation is working with your insurance company if your car has been seriously damaged. Regardless of your situation, there’s probably a good chance that you want to do everything in your power to attempt to recover the maximum amount of compensation. One the compensation types you may be eligible to receive after a car accident is a check if your vehicle has been totaled. You may be hoping that you will be able to receive a check for the total value of your vehicle, but it’s important to know how insurance companies determine this value to begin with. If you have recently been in a car accident in Florida and there are minor damages to your vehicle, your car insurance company will probably handle the repair costs. If you’re in a crash and your car is totaled, however, then the insurance company has to compensate you for the value of the car. Note, though, that this doesn’t necessarily mean that you will agree with the method they use to determine value of the claim. The most common way for an insurance adjuster to determine the value of your vehicle is to assess the sales price of similar cars in your local area. If your car was a 2012 Ford Focus, for example, then the insurance adjuster might look up the current value of other 2012 Ford Focus vehicles available on the market today. More often than not, the insurance company will use the Kelly Blue Book to accomplish this and this is where the term ‘blue book value’ comes from. Sadly, the blue book value of your vehicle might not be actual value of the vehicle. What if you put in a lot of upgrades to your vehicle like an entertainment system, the engine, tires or more? You might be wondering whether or not you are entitled to recover more money. There is a distinction between your vehicle’s blue book value and your actual cash value. In order to show the actual cash value of the vehicle, you’ll need to show that your particular vehicle was worth more than similar models in the market today. Even if you have provided all of this material to your insurance company, it’s not guaranteed that they will take this at face value and award you the actual cash value of the vehicle. 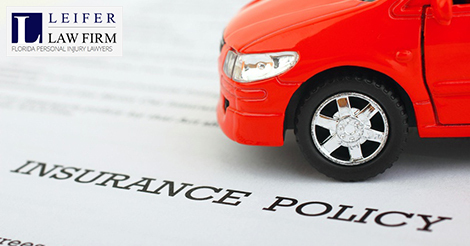 A car insurance adjuster may be hesitant to pay you what your vehicle was actually worth. In the wake of a serious car accident in Florida, you have enough to worry about. This is particularly true when you have sustained severe injuries that have the potential to change your life in big ways. That’s where a Boca Raton car accident attorney comes in. Your car accident attorney can play multiple roles in handling your personal injury claim, whether it’s speaking to your insurance company and helping you navigate that process, working with your personal injury protection coverage, and filing a personal injury claim if you have severe damages that extend beyond the personal injury protection coverage cap. This allows you to focus on recovery and moving on with your life while you have an experienced and knowledgeable individual helping you with all of the insurance and legal aspects of your claim. If you have recently been injured in a car accident in Boca Raton or Fort Lauderdale, do not hesitate to reach out to an attorney to get advice. The statute of limitations only allows you to file a claim within a limited period of time after the accident occurs. Even if you’re not yet sure that you’re ready to file a claim, setting up a meeting with an experienced attorney can help you figure out your next steps.